Are aliens real? Some people believe they are and others are not quite sure. However, a professor from Montana Tech University thinks that aliens are traveling back in time to learn about humans. The plot twist here is that this professor believes that the aliens are the futuristic forms of ourselves, yes humans. What makes Dr. Michael P. Masters believe that aliens are advanced humans traveling through time? In his new book, Identified Flying Objects, Dr. Masters makes his case based on several factors. He writes, “The phenomenon may be our own distant descendants coming back through time to study us in their own evolutionary past.” As a doctor of biological anthropology, he has spent years developing his theory. Furthermore, most of his graduate work involved fields of study in astrobiology, statistics, astronomy, and physics. Let’s assume for a moment that aliens are real and visit the earth. 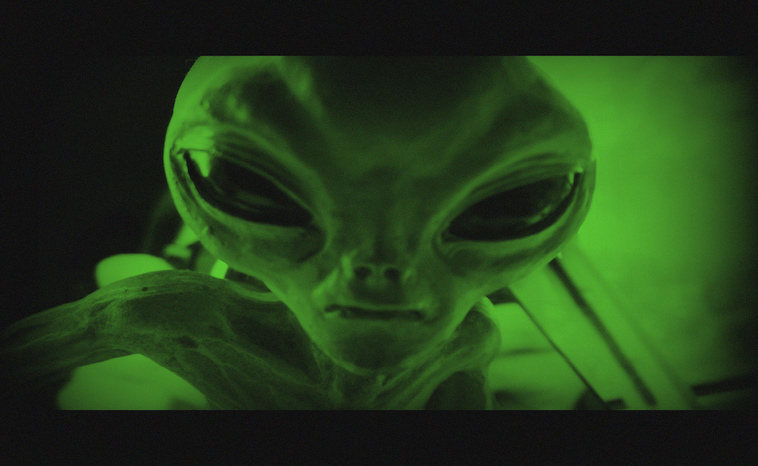 As time travelers, Dr. Masters believes that aliens are conducting visits related to studying their origins. For example, this would be similar to us digging up archaeological sites to learn more about our early ancestors. Given the opportunity to talk with our early ancestors, most of us would probably desire that encounter. Imagine going back in time to speak with Ptolemy, Galileo, and Copernicus. Go back further, and talk to any one of the Pharaohs of Egypt or Chinese emperors. Our quest to learn about early people drives anthropologists and archeologists each day. What other factors go into Dr. Masters theory about alien time travelers? He cites human abduction encounters and the stories that all seem very similar. For example, most people who encountered aliens have claimed ease of communication with them. Aliens knew the language of the abductee and could communicate with that person. If they were not humans, how else would they know how to communicate? Dr. Masters also makes the case that learning is not done in a linear model. What does that have to do with time travel? If learning takes place exponentially, then it stands to reason that future humans may have figured out how to bend time. Taking ever reported an incidence of UFO sightings into account, why has our civilization never fallen under attack? You could make the case that non-human aliens may be just friendly observers. However, non-human aliens may want the vast resources that Earth has. The Vikings invaded Britain over a thousand years ago for one thing; resources. A limited attempt was made to try and procure these resources through mediation, but those deals often fell through. What about the very close resemblance in physical appearance. Reported sightings of alien creatures state the eerie similarity to humans. Dr. Masters makes a note of the symmetry of the body similar to our own. Their hands have fingers and feet with toes. Even our early ancestors do not entirely look like we do today. A recent report just published makes the case that Neanderthals did indeed walk upright. However, we do have skulls from these same Neanderthals that show a structural difference in facial features. We know our early ancestors were human based on the features we have today. If aliens do exist, are they us, from another time? Furthermore, are they archeologists sent back to learn about their early ancestors? We may never know, but the idea certainly gives us something to think about. Name a star now! - Are UFO’s and Aliens From The Future?